Paul Gascoigne has revealed he will play for the Spurs Legends team at the new stadium’s second test event next week. The former England midfielder, 51, says his former captain Gary Mabbutt, who will manage the legends side against an Inter Milan XI (Inter Forever), has picked him to play. Spurs are yet to confirm the appearance of 'Gazza', who scored 33 goals in 122 appearances for Tottenham during the late 1980s and early '90s. The club have confirmed a raft of names for the event, including Jurgen Klinsmann, Robbie Keane, Rafael van der Vaart and Dimitar Berbatov. But accompanying a 'Tottenham Hotspur: One Family' picture on Twitter, Gascoigne said: "Wow just had to add this as my time at Spurs was family. "I'm sorry, just a bit too excited to be playing. I loved the club, even the car park was beautiful, down to the tea lady. "It'll be an honour to wear the number eight again. See you next week. Come on you Spurs. Huge hugs from Gazza." Former Tottenham manager Harry Redknapp has welcomed the news that the club will be playing in its new stadium before the end of the season. 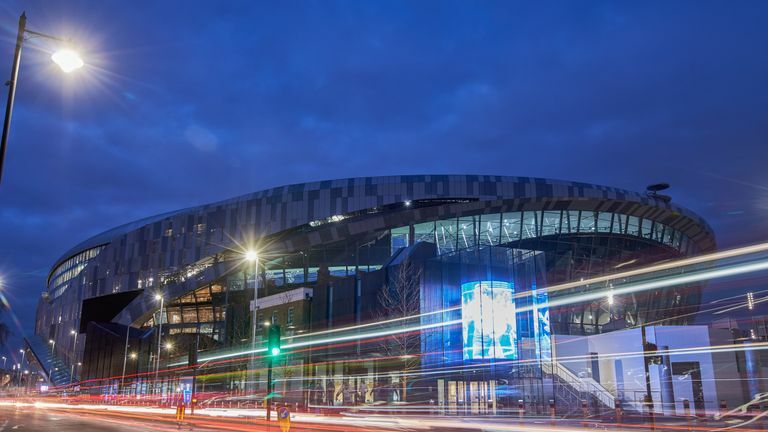 Spurs Legends will play Inter Forever at the new Tottenham Hotspur Stadium on Saturday March 30 - the second of two test events after this Sunday's clash between Spurs and Southampton's U18 sides.